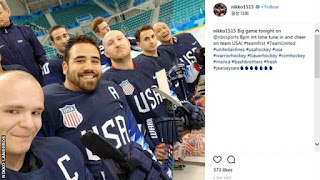 There will be blood brothers on the ice when the US take on Italy in Thursday's Para-ice hockey semi-final at the Winter Paralympics. Nikko Landeros and Tyler Carron were schoolmates and wrestling team-mates when they both lost their legs after being crushed in between two cars. 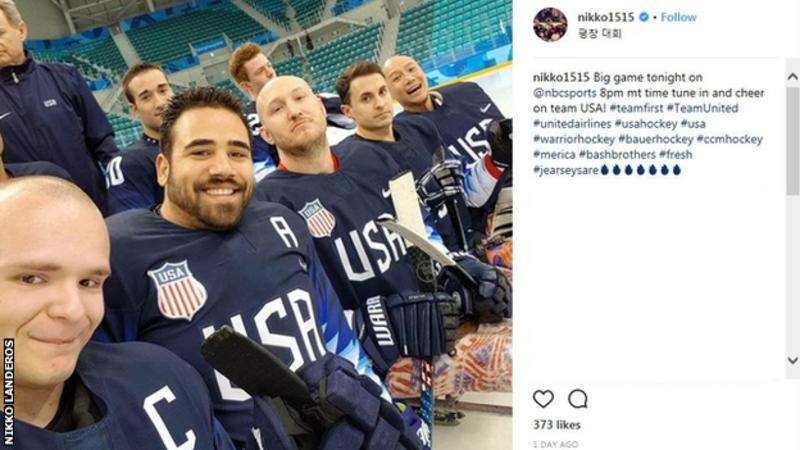 They're now Paralympic gold medallists together, and could be once more in Pyeongchang. They are connected in almost every way - from their defensive partnership on the rink, to the red stuff in their veins. "We've got pints of the same blood in us - who knows whose it is? We've been in a room together with your body half-opened up," Landeros, 28, told Humb's Sport. "Some of the things we've seen are pretty crazy. "I never thought I'd see four legs in the middle of a road and my friend on the side of the road not saying anything. "We've been through some pretty traumatic stuff together that gives us a bond I don't think too many people in the world have."